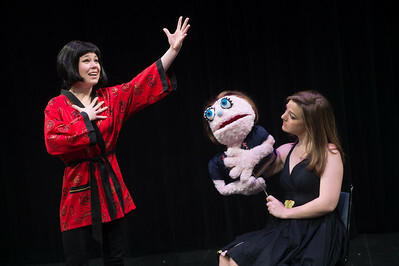 Crossroads Repertory Theatre will offer its audience a "crazy, ridiculous fun with a heart" look on the ups and downs of adulthood in its production of "Avenue Q." Despite this being director Bill Kincaid's 76th major production, it is his first using puppets to play the main characters. "I learn new things every time I work on a show so it's always a really interesting adventure, and this production has been no different," he said. "There are a lot of interesting and different moving parts in this show and the cast has really jumped in with both feet. A lot is going on as we get ready for the production, like learning puppetry skills, which is difficult, especially as some people are playing multiple puppets and have to do different voices throughout the show." Opening June 17, "Avenue Q" is a winner of three Tony Awards in 2004 and chronicles the experience of Princeton, a bright-eyed college student, as he arrives in New York City to begin a new life with new friends and neighbors who are searching for jobs, dates and their purposes in life just like him. "I'm so excited because I've wanted to find a way to share (this play) with members of my family and this is finally the chance for them to see it," Kincaid said. "I think they will find it funny and it will speak to them, as well as others in the audience. It's a really good time, but don't bring your kids - it's not for young viewers even though there are puppets." Not only has Tresa Makosky, an adjunct professor at Indiana State, discovered that puppeteering is real art, but she learned how puppets can add an dimension to the show. "It's almost as if we have a second set of actors," said Makosky, whose role as stage manager allows her to serve as communication and scheduling hub for the show. "They aren't really a prop or a costume, so a lot of the paperwork we normally create as stage managers doesn't ‘quite' work for the puppets, and we have developed new techniques to track them. It can be a challenge and I definitely have a unique job - not everybody goes to work each day with puppets." The actors are not only puppeteering, but singing, acting and dancing as well. "It is great to get to go to work each day and be in the room with the team and rehearse this show," said Makosky, who has been working productions for about 15 years and has been with Crossroads since her freshman year at Indiana State in 2001. For anyone who has seen the live production, Kincaid said the Crossroads Repertory show will stay pretty consistent with the original version. "If there was a Sesame Street for people just out of college, (Avenue Q) would be it," Kincaid said. "Just as Sesame Street teaches children about letters, numbers, sharing, caring and helping, Avenue Q teaches adults about things like racism, bigotry and generally tries to teach people about how to sustain relationships." The results, Kincaid assures, are hilarious because the lessons on learning how to be an adult are taught through puppets. "The characters teach about the importance of living your life for today, and they remind the audience that whatever problems you have right now are just that - only for now," he said. "I want people to leave the show with a new perspective on their life and problems and have a good time while doing it. I hope it helps them realize that we all struggle with these problems - sexuality, racism and unemployment - and as grownups we need to embrace life and take the positive out of each situation that comes our way." 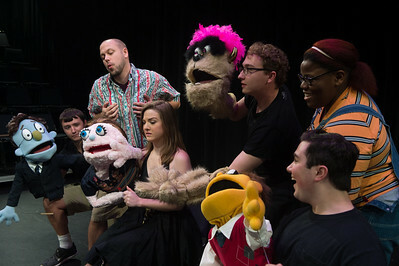 "Avenue Q" runs at 7:30 p.m. June 17 and 18 and July 15, 19 and 23, at 4 p.m. June 19 and July 24, and at 3 p.m. July 2 in Indiana State's New Theater, 540 N. 7th St. Single-production tickets are available for $20. For tickets to the show, calling 812-237-3333 or go to http://www.crossroadsrep.com. 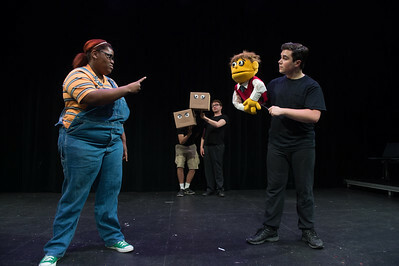 "Avenue Q" runs at 7:30 p.m. June 17 and 18 and July 15, 19 and 23, at 4 p.m. June 19 and July 24, and at 3 p.m. July 2 in Indiana State's New Theater, 540 N. 7th St.